Just Elite: Funny ads ? 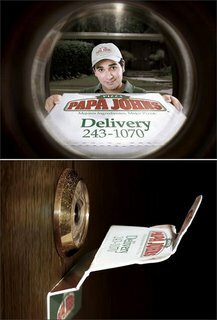 As I know I don’t order a pizza… So, wtf are doing this pizza boy in front of my door? Oh, I remember now it is just a paper ad stick on my door. And now I ask you: this is a funny ad?